Only 2 AMG® C 63 models left in stock! 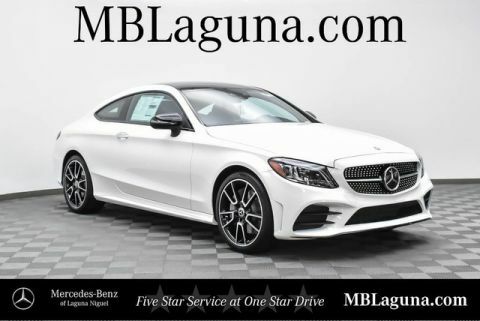 Mercedes-Benz of Laguna Niguel is offering you this New 2019 Mercedes Benz AMG® C 63 Sedan at a competitive price and welcomes you into our world-class dealership to test drive the vehicle of your dreams and experience the very best in selection and service. 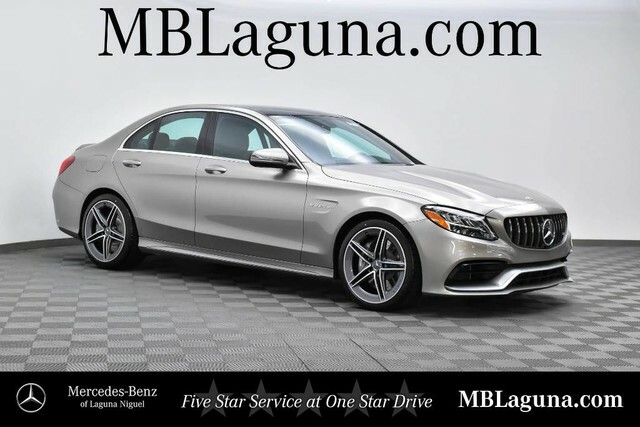 Ready to thrill you with its perfect balance of high performance, ultimate refinement, and state-of-the-art innovation, our 2019 Mercedes Benz AMG® C 63 Sedan is a dream come true in Mojave Silver Metallic! 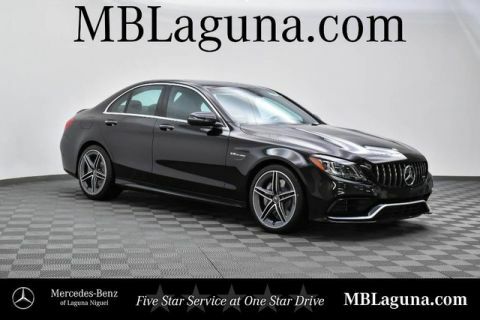 A handcrafted BiTurbo 4.0 Liter V8 offers 469hp while connected to a 7 Speed AMG® Speedshift MCT transmission for astonishing passing authority. A host of innovations including Dynamic Select, AMG® Ride Control Sport suspension, and torque vectoring braking join forces to make this a brilliant driving experience that's second to none! You'll rocket to 60mph in 4 seconds and score 24mpg on the highway in this Rear Wheel Drive! The sculpted design of our AMG® C 63 is exceptional in every regard with unique AMG® wheels and illuminated front door sills.